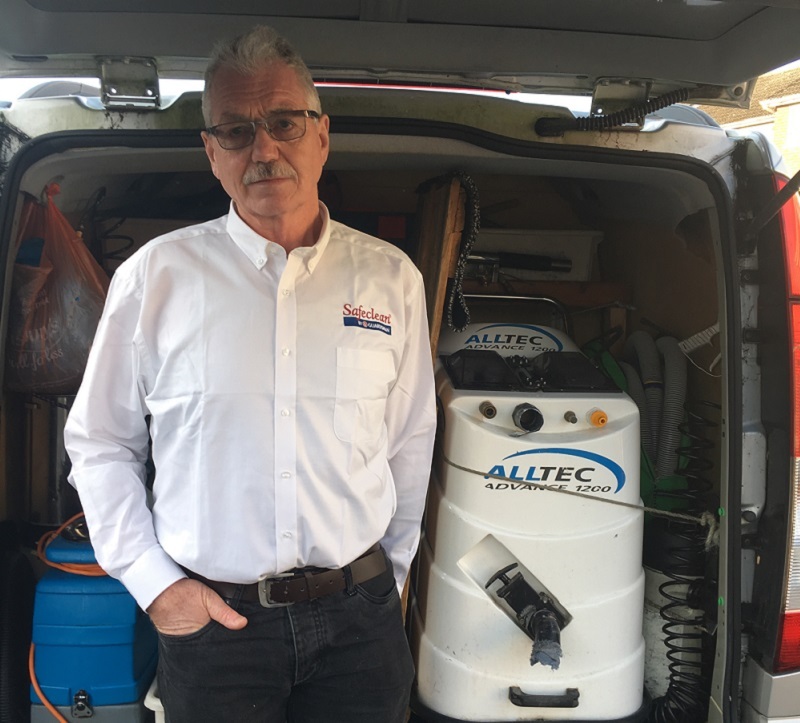 After owning the Safeclean Ipswich Franchise for over 20 years, current owner, Kerry Ling, has made the decision to retire. In 1998, after many years of working in the construction and engineering industry, Kerry wanted to become his own boss and decided the best route for him to do this was by becoming a Franchisee. After exploring various franchise opportunities Kerry decided the right one for him was Safeclean. An added bonus for him was that his local Safeclean franchise, established since 1980, was for sale. Kerry commented “I had already made my decision to become a Safeclean franchisee, then when the Ipswich franchise became available which already had a great name and customer base, it was too good an opportunity for me to turn down”. He continues, “the fact that the business has been in operation for a total of 39 years is a testament to the strength of the business model and brand name. It shows how stable it is, even in challenging economic climates”. Kerry’s intention at that time was to own the business for 10 years and then sell the franchise and retire. However, having enjoyed his work so much he’s continued to operate his franchise for 20 years, but now admits he must listen to his wife Anne and enjoy the fruits of his labours by spending more of their time on holiday! Kerry is now looking to sell the franchise to someone who will continue to provide the high service standards that Kerry has set. He explained, "I have a very loyal customer base and I am keen to see the Safeclean name continue to have a great reputation in Ipswich. The ideal person would be someone who takes pride in their work, is hardworking, passionate, self-motivated and innovative." The new franchisee will undergo the full Safeclean training programme to ensure they are completely confident and comfortable. When taking on a franchise resale or virgin territory, it is essential that the fit is right for both franchisor and franchisee. Previous experience in the industry is not essential. All skills and knowledge will be taught over the 4-week training induction period, plus as an additional bonus, Kerry has offered to work side by side the new franchise owner for the first four weeks of taking over the business. To find out more about this Safeclean franchise for sale in Ipswich, please fill in the form below. We can answer any questions you may have about the business before expressing an interest in it.